When our nation’s Founding Fathers gave us documents such as the Declaration of Independence, the Constitution, the Bill of Rights, and others, they had to lean upon a common understanding of the law, government, social order, and morality. That understanding sprang from the common acceptance of what has come to be known as our Judeo-Christian Heritage. Our Judeo-Christian Heritage is the system of values that originates in the Old and New Testaments of the Holy Bible – specifically, the Ten Commandments in the Old Testament and The Sermon on the Mount in the New Testament. 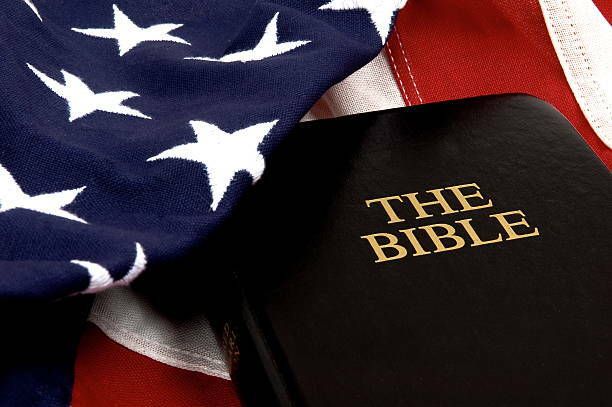 While much has been written to try to dismiss the fact that America was founded on biblical principles, all the revisionist history in the world can’t change the facts. Anyone who examines the original writings, personal correspondence, biographies, and public statements of the individuals who were instrumental in the founding of America, will find an abundance of quotations showing the profound extent to which their thinking was influenced by a Biblical Worldview. Based on these quotations, we could conclude that the founders almost all thought from a biblical perspective. During the next few weeks, we will identify the 7 principles of our Judeo-Christian heritage. Jim Collins is a Pastor, Motivational Speaker, Businessman, and Author. Jim is a certified speaker, trainer, and coach with the John Maxwell Team. He is the founder of Beyond Positive Thinking Ministries (www.beyondpositivethinking.org) and Pastor of Victory in Christ International.